The euphoniously named Junius Henri Browne was a 19th century journalist and author. He is well-enough known to have a short entry in Wikipedia. Browne is remembered mainly for a book on his experiences during the Civil War. He was a Union war correspondent captured and imprisoned at Salisbury, NC. He spent two years in a rebel jail before a successful, hair-raising escape. He also wrote in 1869 a 700-page depiction of New York, where he had worked in journalism. The book covers many diverse aspects of its life: religious, civic, ethnic, business, social classes, and “Fifth Avenue”. Penetrating biographical portraits are also included. The style is confident and straight-ahead, not like someone beating his way through an endless mountain thicket as Browne had on his escape from a Secessionist jail. The opinions expressed are likewise forthright, not nuanced, and it must be said too not without prejudice here and there. Yet, in the matter of religion at any rate he wields no brickbats, and was favourably impressed by the Catholic and Jewish reverends he met. 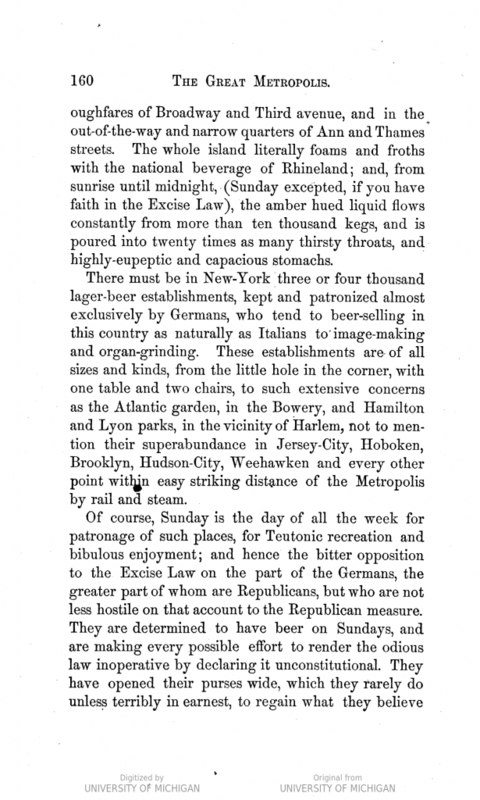 He devotes a chapter to what was clearly by then a fully-formed lager beer culture in New York. 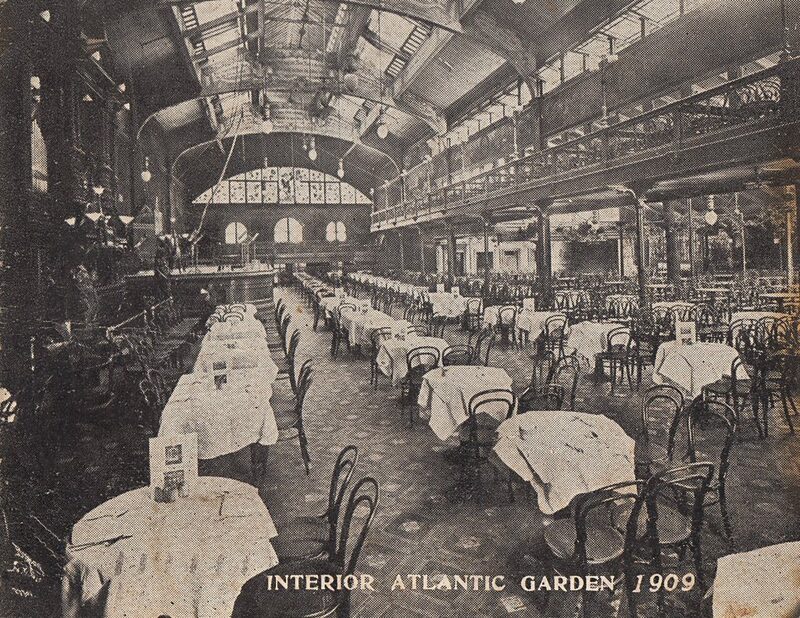 In truth he seemed little impressed where the lager was sold, a low dive, quiet bar, or the huge beer garden exemplified by the Atlantic Garden: it made no difference. 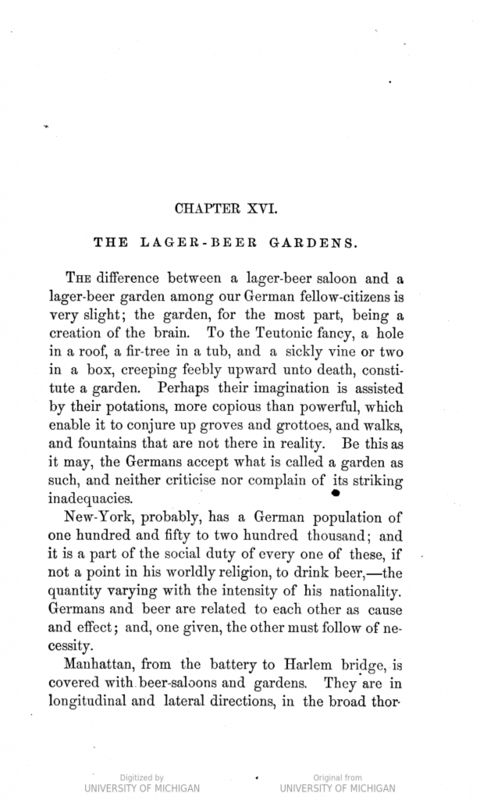 In regard to the beer garden the Yankee Junius seemed immune to the peculiar combination of, as he put it, German domesticity and dissipation. 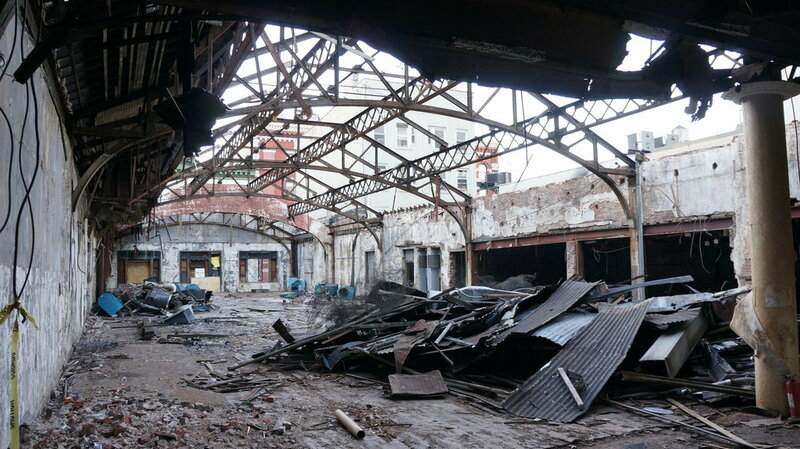 The Atlantic Garden was built in New York’s Bowery, next to the storied Bowery Theatre. Above, you see the Atlantic Garden in its early days, and then a surviving part of the roof after the structure was demolished for a hotel. Browne seems to stereotype German-Americans although he concludes, quite accurately, that they were solid citizens who would blend into America in time. 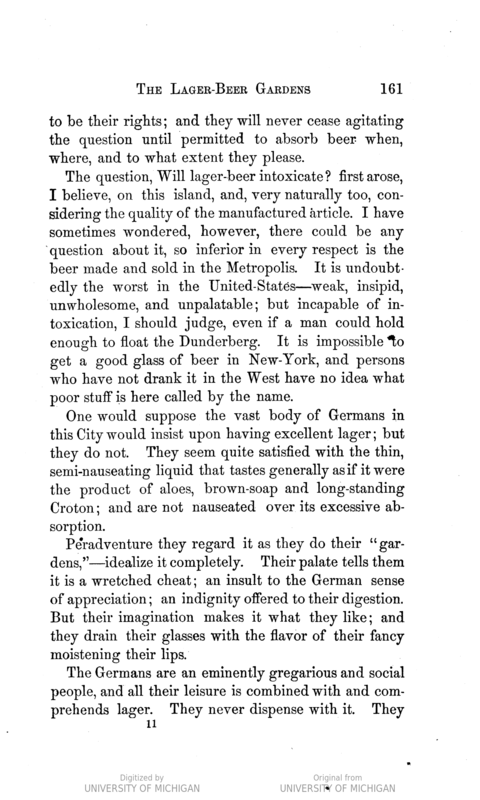 It’s hard to tell if he was of Temperance mentality or simply didn’t like Germanic taverns or lager beer. He makes a point of critiquing the lager of New York, stating it was the worst in the country, which suggests he knew other cities’ presumably better product. He says New York’s lager tasted like aloes, brown soap, and long-standing Croton water. Aloes has been described as having an old vegetable and onion taste…(DMS in unaged beer?). Croton was a reference to the viaduct that brought water to New York, so an image of fetid river water is evoked. This disagreeable picture seems at odds with many contemporary depictions of lager culture in New York. Some appeared in New York newspapers where Browne’s colleagues worked. Maybe he was just an out of sorts type, harbouring the dyspepsia he found strangely lacking in the beer gardens’ habitués. Below are extracts from the beer garden discussion. The full chapter is included in the link above, it starts from p 159. Speaking for myself, a spell in the Atlantic Garden after a hard week sounds rather fun. I think Junius needed to lighten up a bit. Note re images: the page images immediately above are via HathiTrust from the Browne volume linked in the text. The first two images were sourced from the New York Times, here. All copyright therein or thereto belongs solely to their owners or authorized users. Images believed available for educational and historical purposes. All feedback welcomed.